Battling cancer, losing a spouse and near-death experiences are challenges we pray we never have to overcome. But this group of truly inspirational women have proved anything is possible after successfully completing the first Good Morning Britain Tough Mums obstacle course - a slightly kinder but no less physically demanding version of the notoriously challenging Tough Mudder fundraiser - and they’ve all got their own touching stories to tell. Dannii was inspired to demonstrate not only her physical but mental strength by taking on the challenge after having survived cancer twice in just 12 months while in the midst of a divorce but her tough past has shaped her into the strong woman she is today. On her reason to take part, she explained: "2013 was an extremely tough year, however looking back it has made me the strong person I am today. I stopped thinking of what could go wrong and started thinking of what could go right." Dannii enjoyed the experience so much she’s up for round two but for now is grateful for the valuable life lessons it’s taught her. She finished: "It has made me realise that life is for living and it often it is easier to 'take the back seat' but I can confidently say I live my life to the full and thank those around me for being there to pick me up when I needed it." 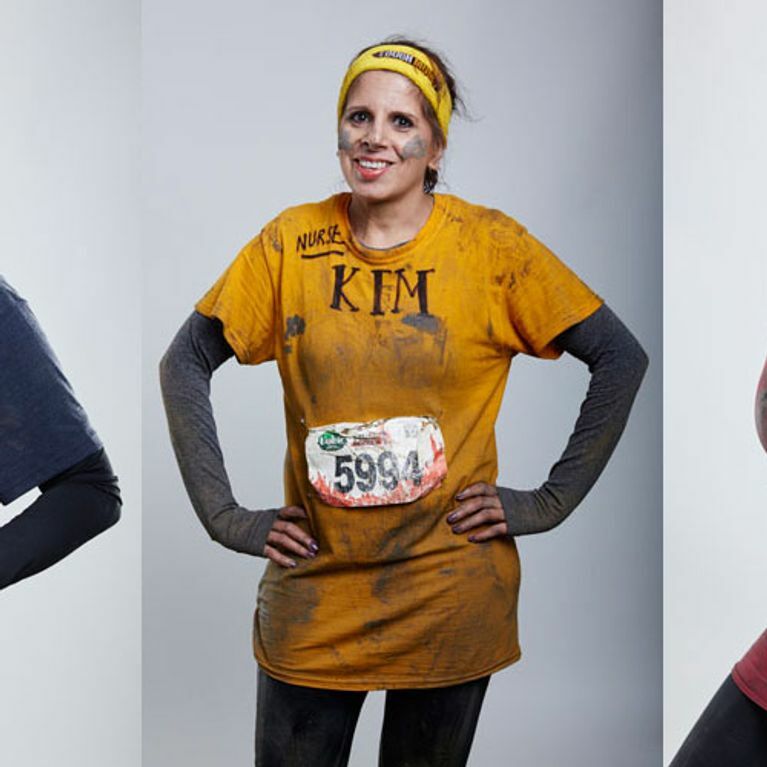 Kim Kauer is another of the volunteers we could all learn a lesson or two from as she’s living proof of the mantra, ‘what doesn’t kill you makes you stronger’. The mother-of-three tragically lost her husband on Christmas Day 15 years ago and was left to raise her brood alone all while suffering from TB, lung clots, meningitis and an ovarian cancer scare which prompted doctors to book her in for a full hysterectomy. As if that wasn’t traumatic enough, she had an allergic reaction to morphine and she and her kids were faced with the prospect of them living without both parents. However, it was her children who helped nurse her back to full health and she took part in Tough Mums to show them that she’s well and truly back to duty. Kim said: "I had to keep reminding myself throughout the course that the hardships I have gone through in my life have not killed me but made me stronger. I needed to prove to myself and my children that I am fit and healthy enough to embrace whatever comes my way." She added that she was overcome with “euphoria” on crossing the finish line, desperate to shout “I’m a tough mum" from the rooftops and who can blame her? That feeling of accomplishment has not left her and she said she hasn’t stopped smiling since. Kim will forever be grateful to Tough Mums for blessing her with the gift of self-belief after admitting her confidence was destroyed and her identity faded away during the personal challenges she’s overcome. She finished: "Mentally taking part in Tough Mums has awarded me a lifetime qualification of self-belief, which for me is priceless, based on that I would encourage every mother to take part. You don’t know how tough you are until you reach the finish line." Caroline White has her own touching story to tell after discovering her newborn baby had Down’s Syndrome - a genetic disorder she was admittedly clueless about. She is a keen blogger and campaigns for the awareness of the condition in the hope less foetuses with Down’s Syndrome will be terminated. There is no denying the strength of her character but she admitted she feels as though she’s not a ‘tough mum’ because her life is very full and rewarding but she does deal with her fair share of challenges, explaining: "I consider myself very lucky, but sometimes I do have to be tough in order to help change attitudes. I share a lot of our lives online and it results in trolling and hurtful comments, but if I can help one family understand what it means, and doesn’t mean, to have Down’s syndrome in the 21st century, then I have done something positive." Caroline added that the event was far from competitive and can only encourage other mothers to take part, too. She finished: "You will be buzzing for days. You will go from fear and apprehension to feeling accomplished and proud. You will meet some incredible people along the way, willing and helping you to succeed, and you will finish the day proud to be a human being…..and especially a mum!" 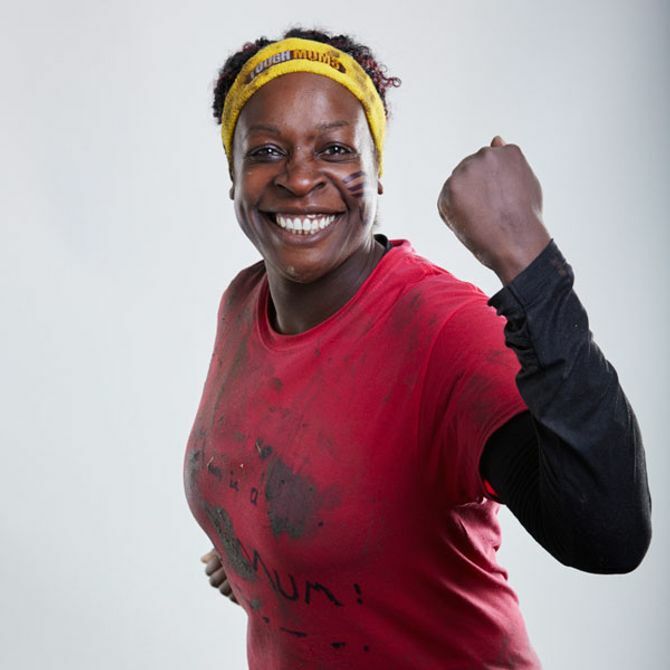 Tough Mums was hosted by Tough Mudder in collaboration with Good Morning Britain and was complete with Tough Mudder signature obstacles. The course was 5k and featured 10 Tough Mudder obstacles including Arctic Enema, King of the Swingers and the all-new Frequent Flyers Club.